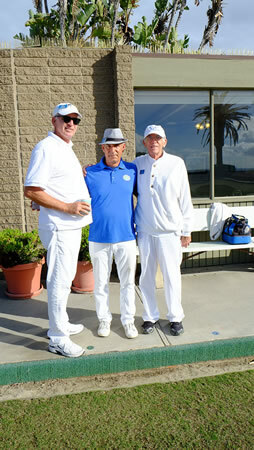 Laguna Beach Lawn Bowling Club hit the greens this past weekend. The winning team, from left, Pat Gallis, Abe Pinnella and John Carpenter. Photo by Gary Barnes.